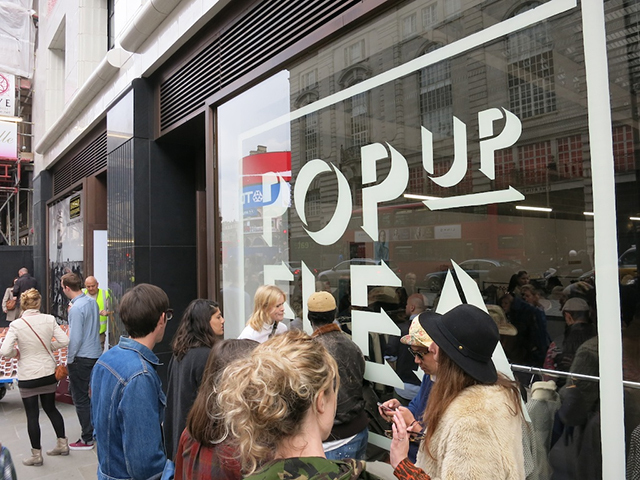 Last month we were delighted to be involved with the Pop Up Fleas's maiden voyage to London. 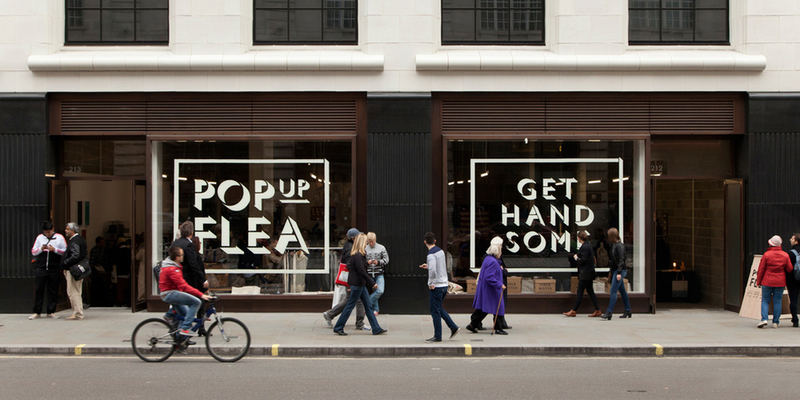 The Pop Up Flea is the brain child of Randy Goldberg and Michael Williams (founder of A Continuous Lean). The ever-changing collection of new and vintage menswear goods has been blossoming for the last few years in New York and so we jumped at the chance to help create the visual identity for the London event. 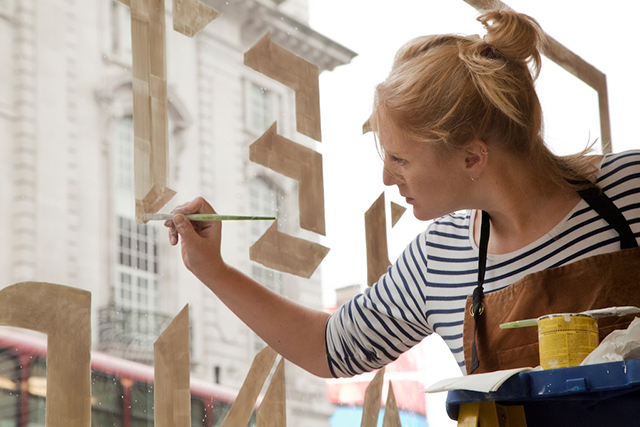 We were tasked with designing and painting various signage for the event including 2 massive shop windows all in spitting distance of Piccadilly Circus. The weekend flew by and as well as selling some limited edition Riso & Screen-prints we also met some lovely folk from Filson, Shynola, Levis Handcrafted and the like. It was a pleasure to work with Randy and Michael and we were also grateful to be acquainted with J.P. Williams, Michiel van Wyngaarden, Craig White and James Bowthorpe to name but a few. 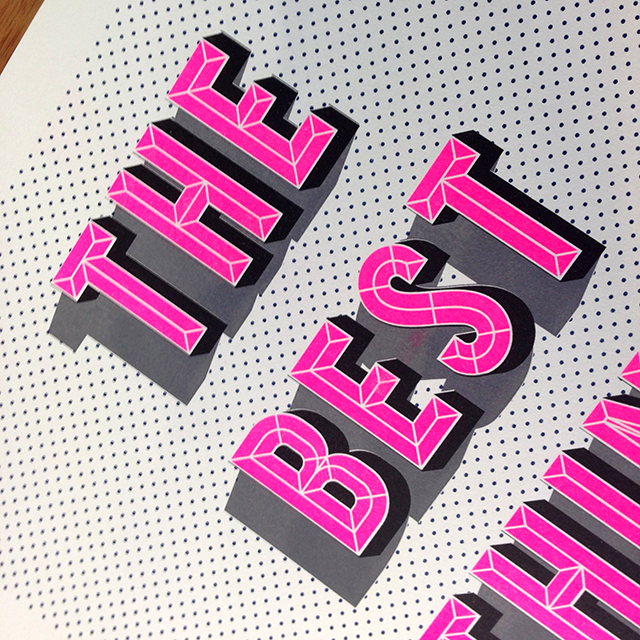 We would strongly recommend that if you're lucky enough to be in New York in December that you check it out. You may leave with a lighter wallet but certainly not a heavy heart!